Fruitz is a new Slot Machine by Foxium Gaming, which is relatively a new gaming developer, but it is quickly building up a reputation and a solid gaming portfolio. The collection includes this title that we have here, Fruitz. The slot machine has five reels with 25 stake lines with 3D animations and symbols that will entertain and reward you throughout the gameplay. The title has multiple winning chances and bonuses that you will take advantage of as you spin the reels. 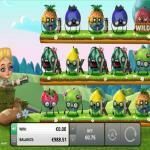 Fruitz is one of the latest slot machines by Foxium games. The slot machine has a unique visual style that is immersive and fun to play. It comes with five reels and twenty-five wager lines. The game is all about fruits, but they come in unique visuals, in addition to being able to trigger multiple winning chances and bonuses throughout your stay at the slot machine. Fruitz is a new slot machine that is from the portfolio of Foxium Games; it is the latest slot that the developer released. 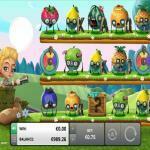 As the title of the game shows, the slot machine is all about fruits. On the other hand, this is not your usual fruit slot machine that has cherries and oranges; it is a 3D animated title that manages to offer an immersive and a highly rewarding fruit-themed experience. The games visual are top notch, and they come along with great sound effects and winning chances. These winning chances are through the line payouts of the slot machine, or with the aid of the bonus features and symbols that the slot has for you. 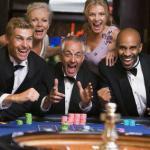 The best part is that you can check out the slot right here for free so you can see what it has up its sleeve before you play it for real cash at online casinos that offer it. 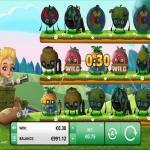 Fruitz slot machine has a traditional theme, which is all about fruits. On the other hand, these are not your usual fruits; these are monstrous-zombie fruits. These fruits seem to be attacking the farm of a blonde farmer lady, and this is why you will see her on the left side taking shelter and surrounded with ammo. She has a shotgun in her hand, as she tries to protect her property from the attack of these bad fruits. 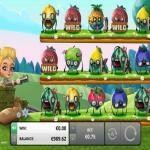 The slot machine invites you to witness this epic battle between the blonde farmer and these ugly fruits so you can enjoy an action-packed ride, as well as great rewards. You can claim these rewards through the twenty-five line prizes and the bonus features and symbols of the slot machine. 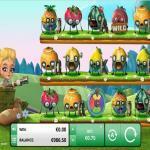 Fruitz is a slot machine that has a five-reel setup that hosts twenty-five wager lines, through which you will be able to earn a lot of rewards. The game has a stunning visuals style, which comes in three-dimensional symbols and graphics, and some of these icons and visuals are animated. You will see that the slot machine's five reels come in the form of three grass layers that host the fruit symbols. These fruit symbols come in the shape of fruit characters with arms and legs. These dangerous fruits include pineapples, oranges, apples, lemons, strawberries and more. In the backdrop of these reels, you will see some of the dangerous fruits running after some of the white sheep that belong to the blonde farmer. Speaking of the blonde farmer, you will find her on the left side of the reels, taking shelter behind some sandbags with ammo that she uses to defend her farm against these fruits. 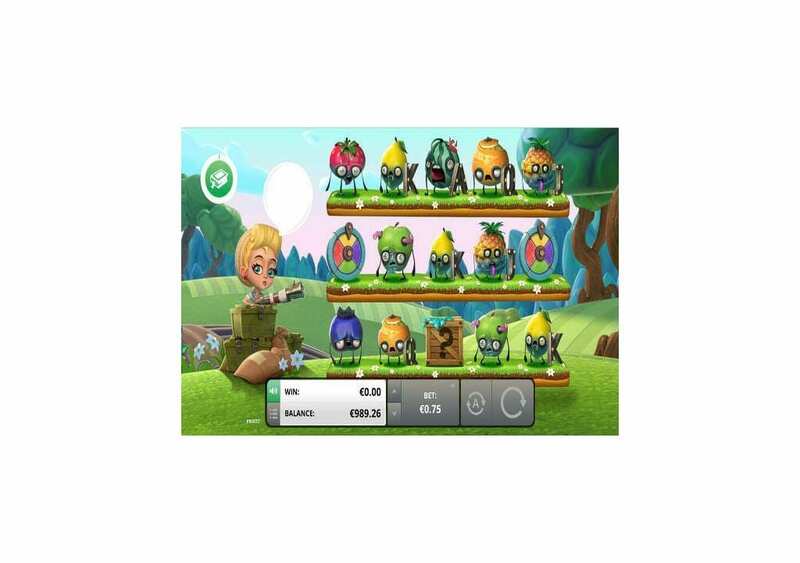 Fruitz got a lot of winning chances for you to earn during the gameplay. 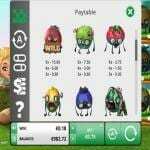 These payouts can either be a result of the regular gameplay winnings as you create winning combinations of matching symbols or with the help of the game’s unique symbols. The highest award that the slot machine can give is equal 1250. You claim it when you place the biggest bet of 62.50 while getting 5x of the Strawberry symbols on the same active line on the five reels of the slot machine. Speaking of the wagers you can place, there is a set of fixed stakes that vary between 0.25 and 62.50. Foxium Gaming has a small set of games, but they all come with amazing features and winning chances, just like this slot machine. The slot machine has a wild symbol, the chest symbol, the card collection function, shoot the crates bonus and Shoot the Jam Jars feature. The first unique symbol is the fruit that is holding a wooden plank that says WILD on it. The icon will replace all other symbols appearing on the reels of the game, except the Wheel and the Chest symbols. 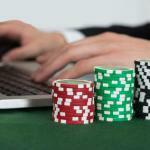 It will help create the best possible payout. The chest symbol can appear during the gameplay; it contains one random card symbol. When it lands on the reels, the farmer will shot it open to reveal the symbol inside of it. 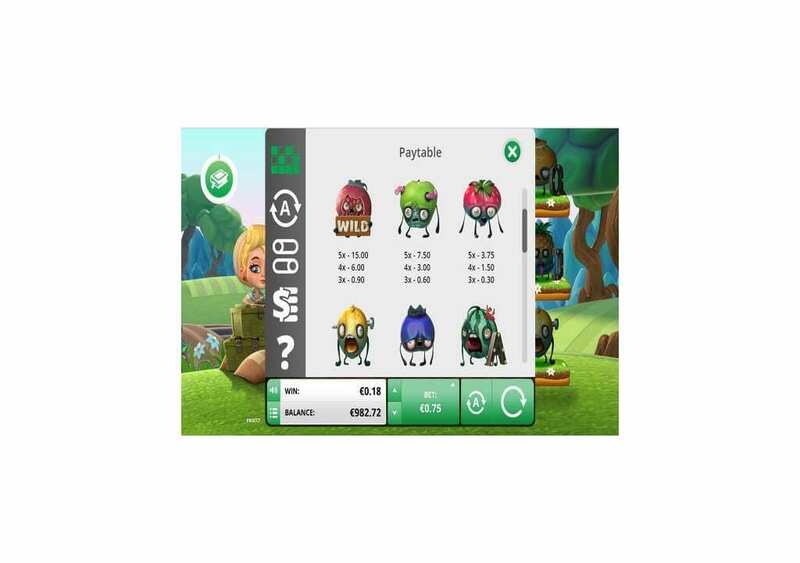 If three Wheel Bonus icons land on the reels, you will be able to trigger the bonus selection wheel. You will spin the wheel to claim one of the many bonuses that the wheel has.